Siberia is a huge region where many ethnic groups live. The majority of people groups profess ethnic and nature religious practices. Several such ethnic groups live in the South of Siberia, where shamanism is wide-spread and many people go to shamans to solve their problems. Most villages don’t have any believers or Christian churches, and few people have heard the Good News. Several years ago, one of the churches in Novosibirsk started to work in this region. Believers organised several trips to one of the villages to share the gospel and work with kids. The church realised that several trips were not enough, and prayed about sending long-term missionaries with the vision of starting a new church. God answered their prayers, and one family from the church made the decision to move and continue to share the gospel in that area. Another couple, Dmitry and Natalya, also took part in the church’s outreaches. After a time of prayer and reflection, they decided to follow God’s calling to be light to those people in the village. But they could hardly imagine how they could serve, or what they could do. “We didn’t have any experience in mission work and were rather young,” says Dmitry. To prepare for ministry among the least reached, they decided to study at the OM Russia MDT (Missions Discipleship Training). During their first course, they had several outreaches with other students to the village where they were going to serve. These trips helped them get to know the local people and their needs and they became more convinced of serving there. 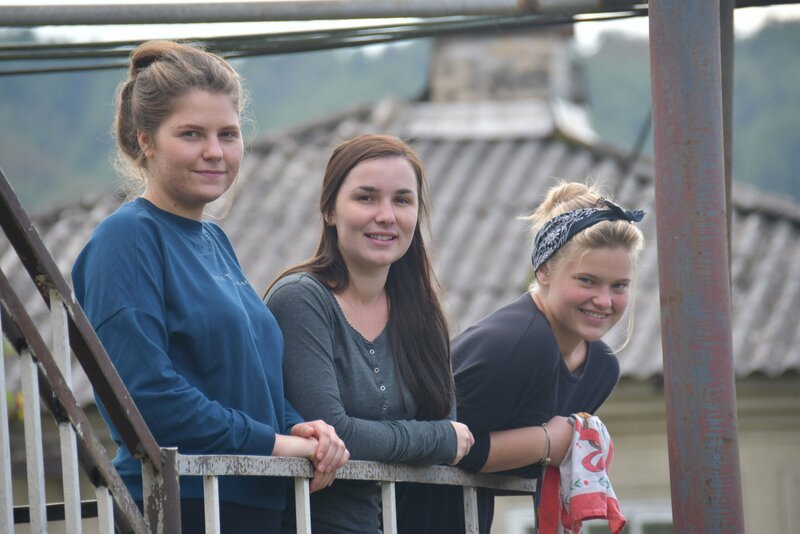 After the first year of studies, they moved to the village in the region as second year students and missionaries of their home church. “We are happy to serve the Lord here! It is such a privilege for us to tell about Jesus to this ethic group, which didn’t know Christ yet!" says Natalya. Living permanently in the village dramatically differs from visiting the village for short-term periods though. “When we came here to organise kids camps, people were open, friendly and ready to hear the Good News. But as soon as we moved to permanent residency, we felt that the locals became more unkind. We invited them to come to our house, but they refused. It was difficult for us; we were faced with the lack of communication. But, praise the Lord, there is a Christian family from our church, with whom we can talk, have fellowship,” shares Natalya. Natalya and Dmitry understood that it was very important to have friends among the local people. They began to pray about it. God then gave opportunities to build relationships and tell the gospel. Several local people accepted Christ as their personal Saviour, and some of them are now preparing to get baptised. A couple of years ago there was not any Christian fellowship and believers in this least-reached community. Today, missionaries and the locals gather together to study the Bible and have service. One of Natalya’s ministries is working with children. Every Saturday, kids of all ages run to her house to listen to the stories from the Bible, do crafts and play games. Natalya and Dmitry use every opportunity to tell about the hope that God gives: at work, addressing people’s needs and through providing some help. Please pray for Dmitry and Natalya and their ministry. There are still many locals who are hostile to them. Pray that the Lord would soften their hearts and many more people from this least-reached group would find real salvation.